We’re on our last day here in KY which means a lot of frantic packing, weighing suitcases, repacking, re-weighing (wash, rinse, repeat ad infinitum) and so on. 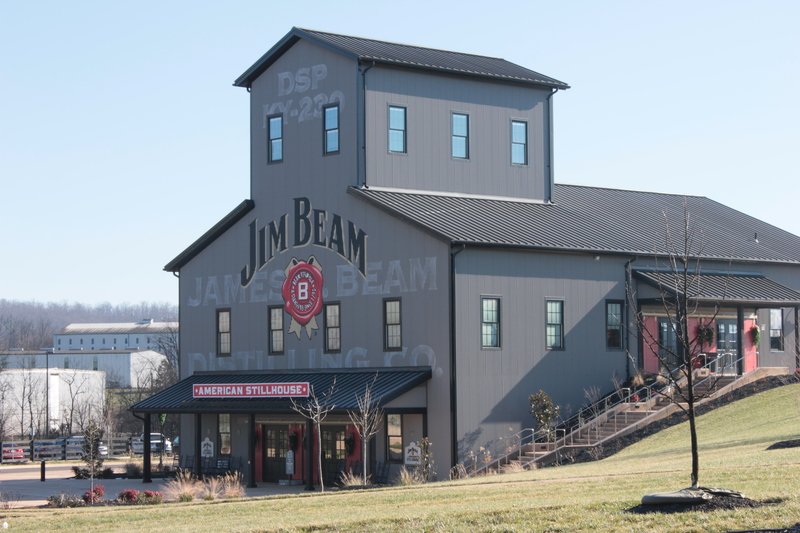 Yesterday, before the panic of realisation that we’d done nothing packing-wise kicked in the hubs, my grandparents and I ventured down the road to Clermont, Kentucky, to take a tour of the Jim Beam Distillery. For those of you living under a rock or in a cave with crappy alcohol provisions, Jim Beam is one of the most famous (and best) bourbons out there. It’s exported worldwide and accounts for around 50% of the world’s bourbon… all produced and bottled in my home state of lil’ old Kentucky. Pretty impressive! The tour was very thorough and included all aspects of the production of Beam’s bourbon right down to what constitutes a real bourbon. President Lyndon B Johnson, a bourbon aficionado of sorts, set in place a series of laws to define bourbon. Anything else is just a poor imitation. We got to see the yeasty mash mixture (they’ve used the same yeast since Prohibition!) which ferments for a few days and then gets distilled down to “low wine” which then gets re-distilled to make “high wine”. We got to dip our finger in and taste a bit of the “high wine” and man did it pack a punch! 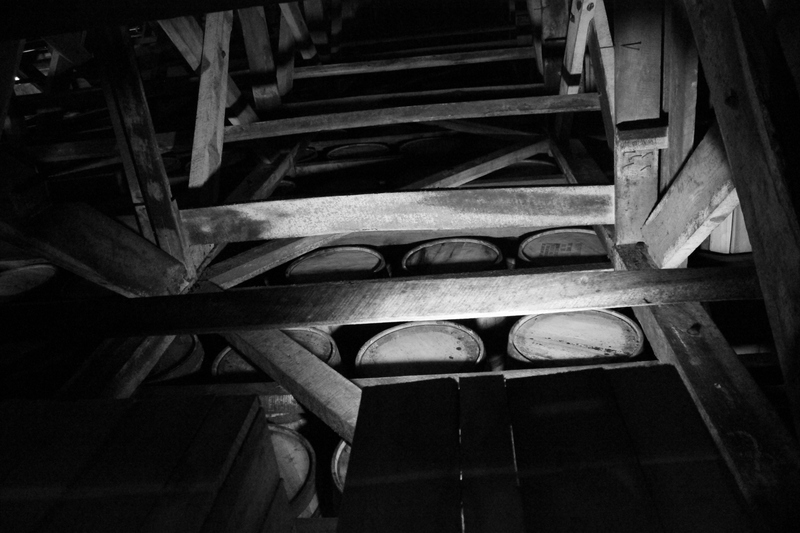 The high wine then gets poured into the barrels and it sits for a minimum of two years, though Jim Beam typically lets theirs sit for a minimum of four. Wow! They then empty the barrels, filter through the charred insides of the barrel that come out with the liquid and then they bottle it up! I was lucky enough to taste a teensy bit of bourbon straight outta the barrel and I’ve got to say that, while hellishly strong, it tastes amazing and there’s nothing else out there like it. We got to see the bottling process which includes rinsing the bottles out with… you guessed it… bourbon(!!) before filling them up with the actual product. The bottles are pre-rinsed to ensure they’re clean but it’s done with bourbon to keep the taste from being tainted with anything else. Purists! For quality control’s sake (and in the very unlikely event of a recall) they keep a batch of every line of product in storage for easy access. Just looking at the cage full of Beam made me feel like I was in heaven. They then took us across the property to where they store the bourbon as it ages. This in itself is an exact and complicated science. 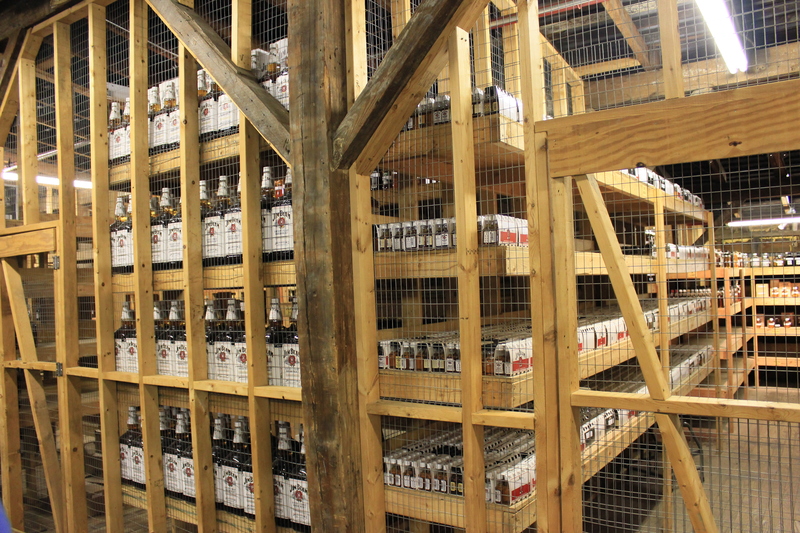 The buildings are strictly climate controlled but the barrels of bourbon are placed strategically in each rack house. Bourbons at the bottom (where the air is coolest) tend to be the smoothest and mildest. As you go up on the levels of the rack houses, the strength and tastes increase. Simple! Actually, no, it’s a lot more complicated than that but my little brain couldn’t wrap around the science involved. Give me chemical equations and interactions any day! Last but most certainly not least came the tasting. The hubs and I got to try a thimbleful each of Jim Beam Black Label (aged 8 years!) and Baker’s (a small batch bourbon). Less than a quarter of a shot each but you still got an idea of the actual taste. Both were equally amazing but we both liked the Black Label enough that we bought a bottle which is now safely bubble wrapped and about to be tucked into one of our suitcases (as we pray that it makes it back to London safe). We also got a bottle of the Red Stag Honey Tea because it sounded good. It’s a shame we can’t crack those babies open–I’m a ball of an emotional wreck leaving my family and having to fly tomorrow. I hate flying… truly.